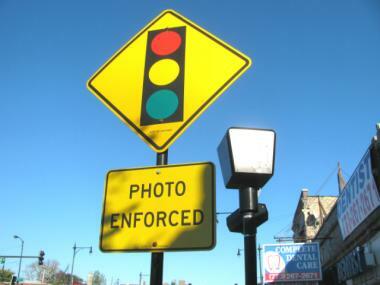 Aldermen want to set new conditions for the installation of any additional red-light cameras citywide. CITY HALL — Two prominent aldermen from the North and South sides are uniting in an attempt to place new conditions on any additional red-light cameras. Aldermen Tom Tunney (44th) and Anthony Beale (9th), chairman of the Transportation Committee, submitted a measure at Wednesday's City Council meeting that calls for traffic studies and public hearings ahead of any new installation of a red-light camera. "This amendment will ensure that public safety is the overriding issue when installing new red-light cameras anywhere in the city," Tunney said. He said the primary intention of the ordinance was that it "establishes the need for the camera prior to installation." Tunney added it would also give the City Council a formal say in the placement of red-light cameras for the first time. The ordinance would mandate that intersections with red-light cameras have a pedestrian-control signal including a countdown timer, and that yellow lights at the intersections have a duration that would "not be less than 3.2 seconds." Drivers have successfully fought tickets at intersections with yellow lights of less than 3 seconds, and city officials have acknowledged the times have not been standardized from time to time. "I strongly believe that these amendments will promote pedestrian safety and encourage motorists to operate their vehicles more responsibly, while also ensuring that the City of Chicago has fully justified the need for a camera at each location," Tunney said. Mayor Rahm Emanuel declined comment on it Wednesday, saying he hadn't yet seen the actual proposal.